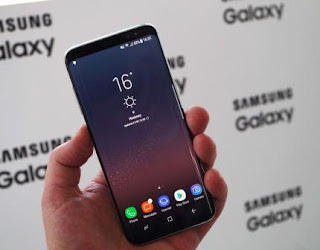 Samsung Galaxy S8 was recently launched and well, it has utterly met our expectations based on the internet leaks that surfaced in previous months. I know you are in a rush to get to know what’s new with the model, one this is for sure; it won’t explode or catch fire at least according to Samsung. If you are a Samsung diehard fan you are definitely going to be impressed by the improvements specifically on the user interface. Fast thing fast, what are the prices and release dates? The phone will retail for $720 or £689. U.S users can purchase it on contract for $28 to $35 a month for two years depending on your career. U.K users can purchase it on contract for £40 a month for two years. The fingerprint scanner is now mounted on the back of the phone, close to the camera. Some of the reviewers already say they are more inclined to use facial recognition or iris scanner to gain access to the phone apps and private features. Samsung Galaxy S8 looks like the model Samsung has been trying to manufacture for the past couple of years. The introduction of Bixby allows the phone giant to effectively compete with Apple and Google. Dex, will also let you turn your slick S8 android phone into a desktop, a feature developers have been working on for ages with little success. The model has a QHD resolution with an aspect ratio of 18.5:9 meaning some apps may at the outset display with bars left and right. The screen is also HDR-enabled, which allows you to get the superbly bright and colorful experience on your mobile. The Home button is no longer visible on Galaxy S8, the company got rid of it on this specific model. Just like iPhone 7 they’ve introduced a pressure sensitive button where the home button would have been to serve the same purpose.